- Sweet lupine flour. 1kg-bag. Organic - EG-Öko-cert. 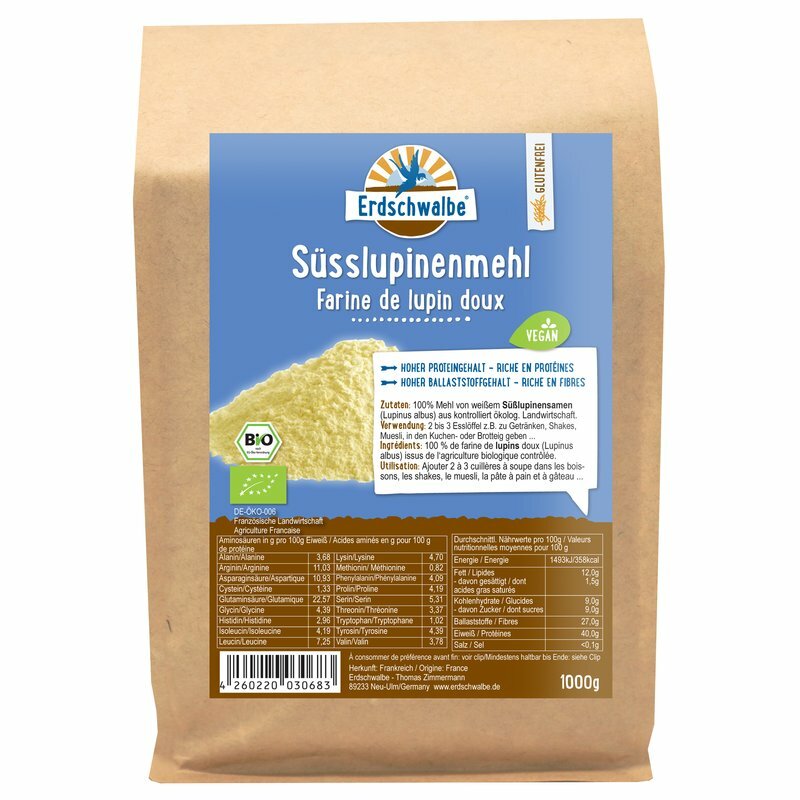 Erdschwalbe Sweet lupine flour. 1kg-bag. Organic - EG-Öko-cert. 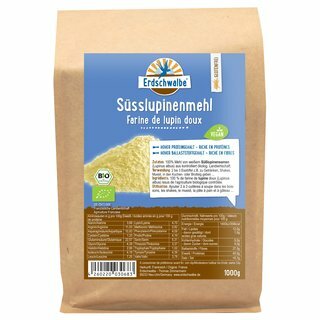 Erdschwalbe Organic Sweet lupine flour 1kg bag. High fibre - High protein. Ingredients: 100% toasted flour from white, shelled lupine seeds from certified organic agriculture. - Natural, vegan source of protein. Ideal substitute for animal protein sources. - Free from bitter substances. Tastes deliciously nutty. - EU Eco-label organic quality with no additives; guaranteed pesticide- and GMO-free. Storage: Store the protein powder in a cool and dry space. Package contents ? net weight: 1kg paper-bag. - Pumpkin seed Protein powder. 1kg-bag. Organic - EG-Öko-cert.